Parajet, the UK based paramotor manufacturer, has announced that it will be exhibiting at this year’s Gadget Show Live, the biggest consumer electronics event in the UK. Gadget Show Live is the UK’s number one consumer technology event. Based on the popular Channel 5 TV show, and taking place at Birmingham’s NEC from 11th – 15th April, the five-day event allows visitors to see, try and buy the latest consumer gadgets. 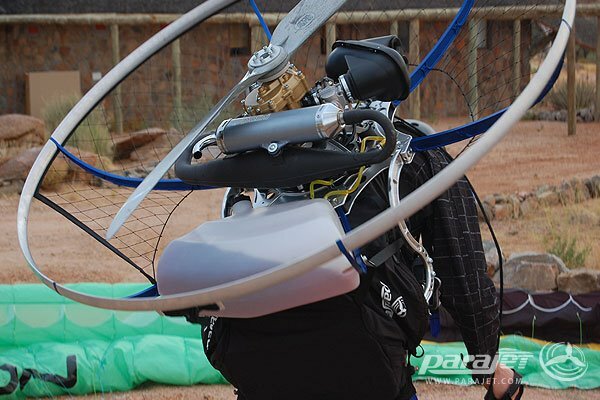 The Parajet stand (A125) will include the Volution 2 paramotor range. Alongside the Volution2 will be Parajet’s rotary-powered Cyclone range. Should be quite a show, get down there and say hi to the team. This entry was posted in AIR, Events, New Products, Paramotor News and tagged cyclone, gadget, news, parajet, paramotor, ppg, show, volution, zenith by Admin. Bookmark the permalink.